The 1945 Declaration of Independence (DI) – “A great founding document”, the most significant one in Vietnamese contemporary history, ushered in a new era of national independence and socialism. Its immortal thoughts crystallized from Vietnamese brainpower, self-reliant will, and burning desires for national independence and freedom will be everlasting. After having seized power as a result of the successful uprising in Hanoi on 19th, August 1945, President Ho Chi Minh returned to Hanoi and composed the Declaration of Independence at the historic house situated at No.48 Hang Ngang street in preparation for the country’s momentous day of proclaiming its independence. 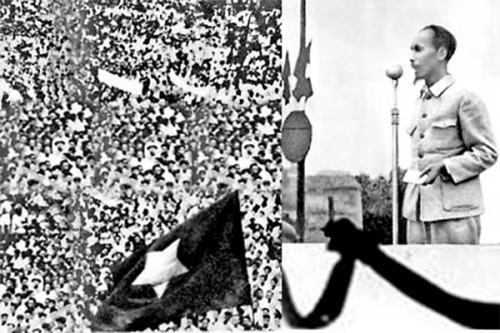 On behalf of the caretaker government, President Ho Chi Minh read the DI in front of some one million fellow countrymen in attendance at Ba Dinh Square-based rally on 2nd, September 1945 – the national day of the Democratic Republic of Vietnam (the present-day Socialist Republic of Vietnam). The 1945 DI made up of 49 sentences and 1.013 words fully demonstrates the Vietnamese people’s brainpower, mettle, culture, humanity, strong will and aspirations for independence and freedom in a new era - Ho Chi Minh era. Therefore, the 1945 DI also connotes profound values in historical and realistic terms. The 1945 DI is a document of insightful contemporary values. Inheriting the essence and advances from the United States Declaration of Independence (1776) and the Declaration of the Rights of Man and of the Citizens of the French Revolution (1791), President Ho Chi Minh affirmed the historical truth right on the outset of the document “All men are created equal; they are endowed by their Creator with certain inalienable Rights; among these are Life, Liberty, and the pursuit of Happiness”. Those are the evident affirmation of human rights, regardless of their origins, they all have equal rights and enjoy human rights, namely those to live, to be happy and free, which are undeniable truths. Grounded in those aforementioned statements in the DI, Ho Chi Minh generalized them to a higher level in a perceptive fashion “All the peoples on the earth are equal from birth, all the peoples have a right to live, to be happy and free”. The previous declarations of independence paled in comparison to that of Ho Chi Minh who upgraded human rights to the peoples’ rights evidently illustrating the 1945 DI’s insightful contemporary values. Hence, not only is the DI the declaration of the Vietnamese peoples, but becomes the declaration of independence and freedom rights for all the oppressed peoples fighting for their national peace, independence and social progress. More importantly, the DI is both a legal document and a new law, asserting inalienable independence and freedom rights to all the peoples around the globe, without exception the minority, weak, and oppressed ones. The DI is an indictment against the French imperialists and Japanese fascists who caused the trials and tribulations for Vietnamese people. In the name of people both in Vietnam and around the globe, the DI forcefully condemned the act of violation and harsh system of rules by the French imperialists and Japanese fascists imposed on Vietnamese people. They excused their aggression, trampled on Vietnames people and robbed them of human rights; as a consequence, there were no such rights being exercised among Vietnamese people. When the Japanese fascists invaded Indochina, the French imperialists went down on their bended knees and handed over our country to them, making our people subjected to the double yoke of the French and the Japanese. Previously, Vietnamese people had been reduced to a state of extreme poverty by the French, their sufferings and miseries increased as a result of the Japanese fascists’ brutal policies, giving rise to two million people’s death from starvation in 1945. Hence, the trenchant indictment made our people fully aware of the fact that their poverty and anguish resulted from inhuman policies of demagony, oppression, and exploitation set by foreign aggressors, thereby grasping the unique opportunity afforded by the Japanese surrender to the Allies to rise up as one under the Party’s clear-sighted leadership alongside the whole people’s synergy to wrest power and found the first free and independent state ever in Southeast Asia. This was a great achievement recorded by the whole Vietnamese peoples as evidenced by the fact that our peoples has broken the colonial chains which for nearly a century have fettered them and founded an independent Vietnam. Our people at the same time have overthrown the monarchic regime that has reigned supreme for dozens of centuries. In its place has been established the Democratic Republic. The DI affirms the peoples’ determination to firmly grip hard-won freedom and independence rights. “The entire Vietnamese people are determined to mobilize all their physical and mental strength, to sacrifice their lives and property in order to safeguard their independence and liberty”. The final sentence of the DI is an incisive confirmation of the peoples’ will and resolve to willingly sacrifice everything to preserve its rights of independence, freedom, and existence. In doing so, the party, the people, and the army in their entirety persistently launched a 30-year military expedition full of sacrifices, sufferings, and bravery in an attempt to defeat the French and US superpowers, regaining national independence, freedom and unification in the wake of a tenacious battle to defend the northern and southwestern boundary areas as well as the cause of safeguarding our Fatherland. Those represent the peoples’ resolve and aspirations to pursue comprehensive independence and freedom as enshrined in the DI and concretized both by the perpetual spirit “We would rather sacrifice everything than lose our country, than return to slavery”, and by a historical truth “Nothing is more precious than independence and freedom” in the course of the Vietnamese resistance war against the America imperialists and the successful fulfilment of the two strategic tasks of constructing and safeguarding the Fatherland in the contemporary revolutionary stage. More than 70 years have elapsed alongside the course of Vietnamese revolution unremittingly guided by the DI’s eternal ideas. In particular, domestic and international situation characterized by intertwined opportunities and challenges necessitates the new requirements for national innovation process, and protection of national independence, sovereignty, unity, territorial integrity. Firmly grasping and inheriting the DI’s independent and self-reliant ideas, we must always maintain our independence and self-reliance in the political guidelines and socialist-oriented economic development policy. Accordingly, it is necessary to strengthen the domestic economic potentials on the basis of modern technical, scientific and technological advances and domestic production of high-end commodities, ensuring that the country’s economy develops commensurately with its own capabilities by ceaselessly enhancing the competitiveness of the economy, creating favourable conditions for the independent development of economic sectors in the right direction, thereby tapping significant resources for building and developing the country and improving people's living standards. At the same time, national interests must be upheld in a persistent, creative fashion amidst the complex context of international relations, especially at a time when we are promoting bilateral and multilateral foreign relations in a bid to maintain a peaceful climate for the present innovation process. In order to preserve independence and freedom rights in line with the DI’s thoughts in the current situation, it is necessary to promote the strength of the Party-led great national unity bloc gathering over 90 million Vietnamese people and Vietnamese expatriates’ community on the basis of worker-peasant-intellectual alliance in an effort to stir up national willpower and aspirations, striving for national independence and socialism. To this end, it is essential to take synchronous measures, in which great emphasis placed on Party building and rectification with a focus on forestalling and repelling degradation in political ideology, morality, lifestyles as well as manifestations of “self-evolution” and “self-transformation” from within, persistently fighting the “peaceful evolution” activities by hostile forces. 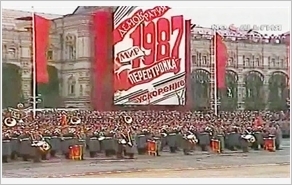 Those necessitate high political determination, tremendous efforts, proactiveness, creativity, and synergy from the whole political system and people, of which a pool of key cadres and leaders at all levels serve as the core in building our Party clean and strong in politics, ideology, morality, and organization as stipulated in Lenin’s teachings “ No one can kill us except for our very own mistakes. If our mistakes lead to divisions, then everything will collapse”. Incisive determination to defend independence and freedom rights drawn from the DI requires intensified defence and security potential and firm protection of our Homeland in the new situation. Accordingly, it is necessary to promote education and propagation work concerning patriotic spirits, sense of responsibiliy and obligation to protect national sovereignty and interests, thereby making people fully aware of great challenges impacting directly on the Homeland defence task; simultaneously, “physical and mental strength” preparation should be thoroughly made to safeguard our Homeland even in peacetime. Additionally, it is crucial to strengthen defence and security potential and posture, build strong all-people defence and “people’s hearts and minds” posture in the implementation of Homeland protection strategy as well as revolutionary, regular, elite and gradually modern armed forces, satisfying the requirements for the Homeland defence task in the current situation. Regardless of the fact that the 1945 DI is seventy plus years old, it still remains timeless. It is time that deepens the DI’s historical and realistic values, continuously orienting the Vietnamese peoples towards the target of a prosperous people, a strong country, and an equitable democratic and civilized society.